Demonic display ads and sinister social spots for the retro return of the satanic spirit board. 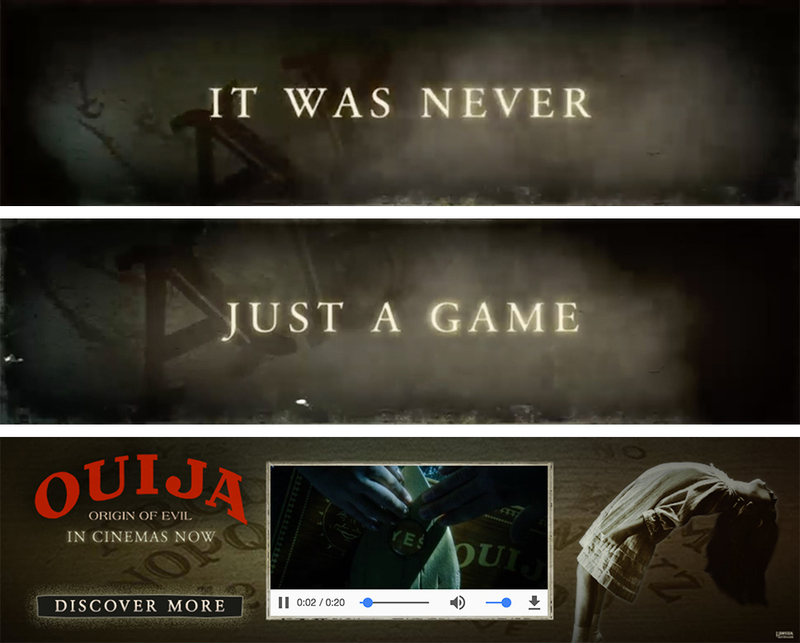 We love a good horror movie, and the consensus is that OUIJA: ORIGIN OF EVIL is exactly that, moving the franchise forward with a look back into the Zander family’s troubled past. Are you ready to s̶c̶r̶e̶a̶m̶…play? 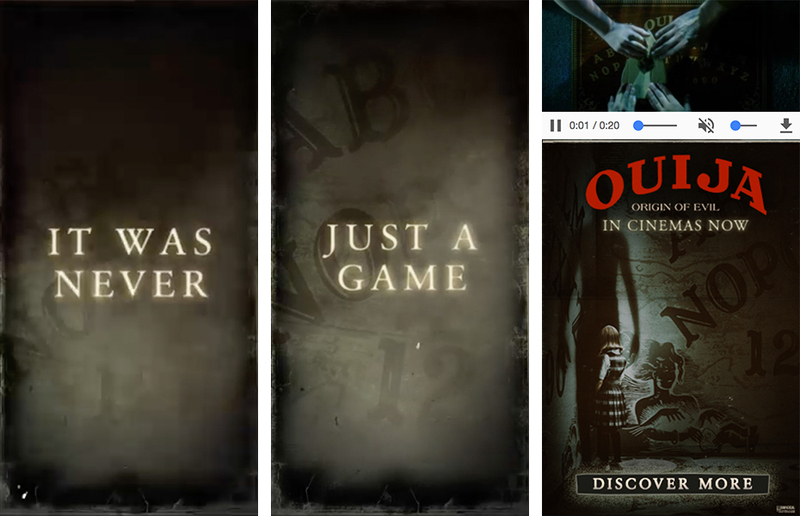 It was never just a game. ? ?